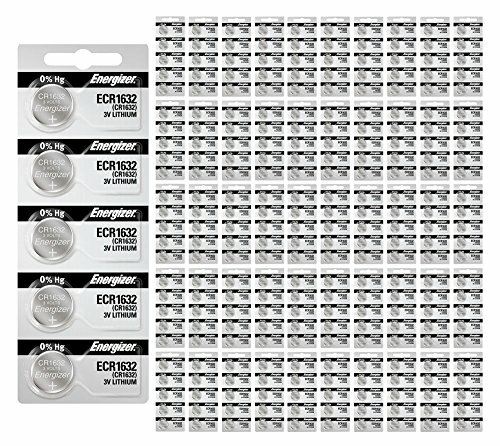 The Energizer 1632 battery works in car remotes, medical devices, garage door openers and more. Dependable power for glucose monitors, heart-rate monitors, keyless entry, toys & games. Holds power for 8 years in storage. Cell size: 1632. IEC: CR1632. Type: Lithium Coin. Volt: 3. Replacement for: BR1632, DL1632, ECR1632,KCR1632, KECR1632, KL1632, L1632.